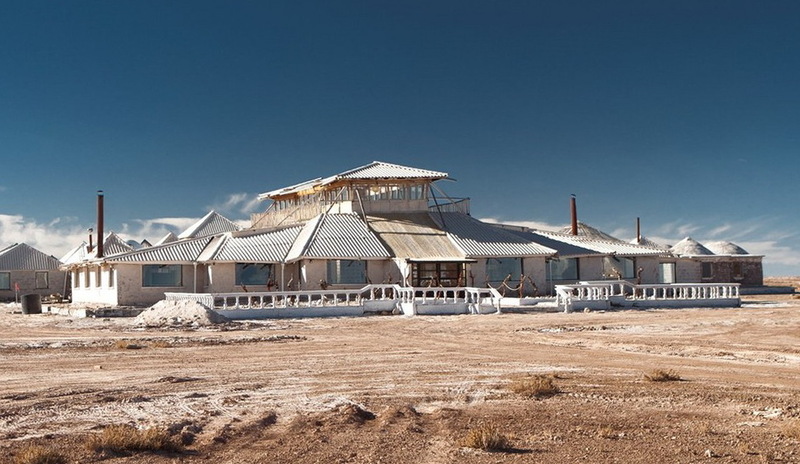 Custom hotel was built in Bolivia. 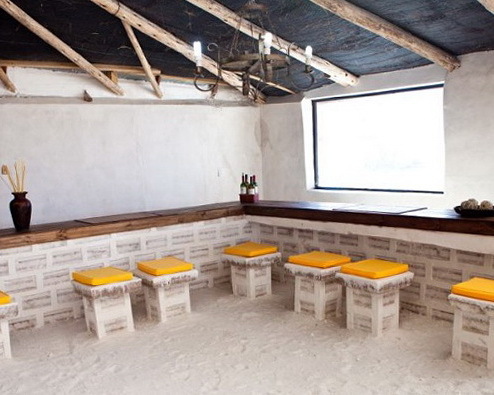 This small hotel is really unusual in that it is built of salt. 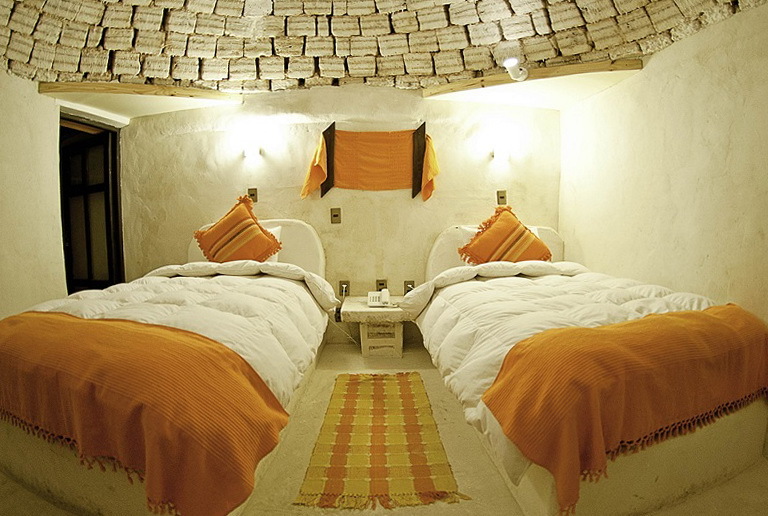 This hotel will surprise any tourist, because it is made and a large amount of material – 10,000 tons of salt. 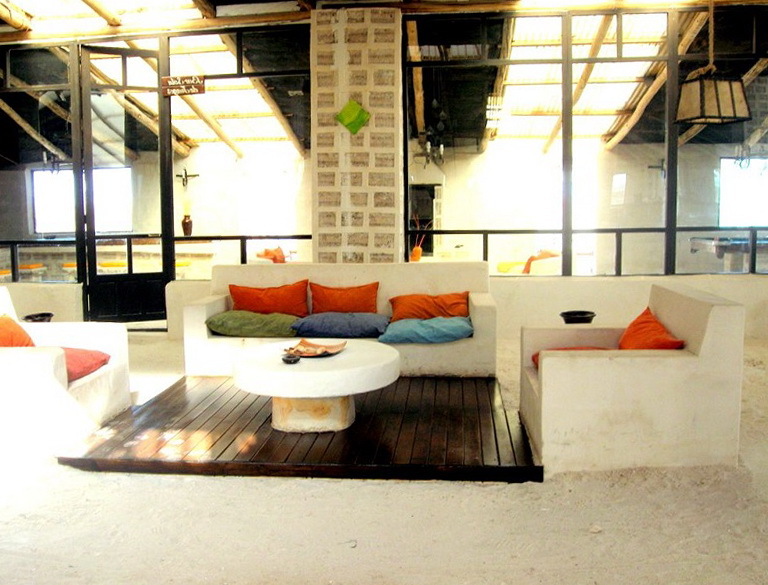 In this unusual property has all the items for the lounge, bar, Jacuzzi, bedroom. 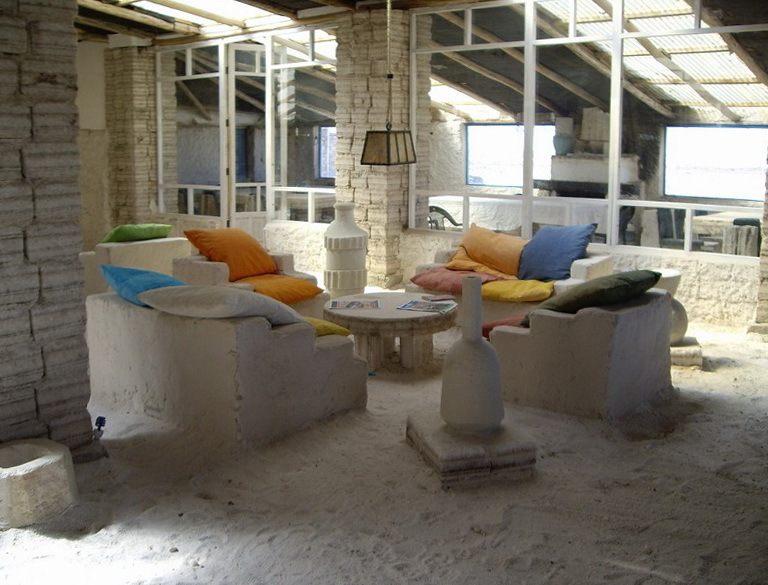 Built hotel on the edge of the largest salt flats Salar de Uyuni and all the furniture, beds, stools made from pure salt. 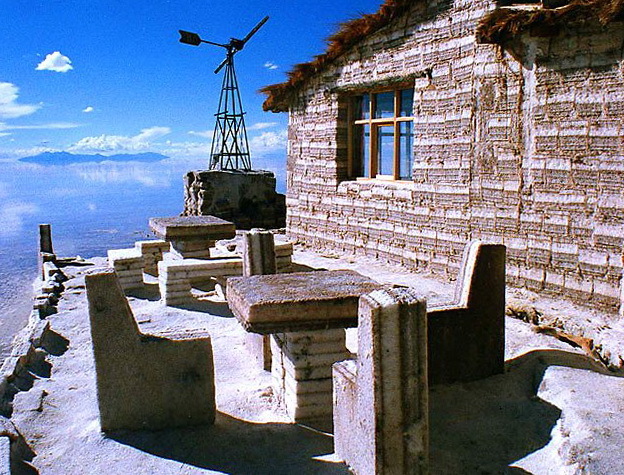 Salar de Uyuni is the world’s largest salt lake that is popular with tourists. Of course a lot of tourists who come not only the lake but also in a salt hotel. 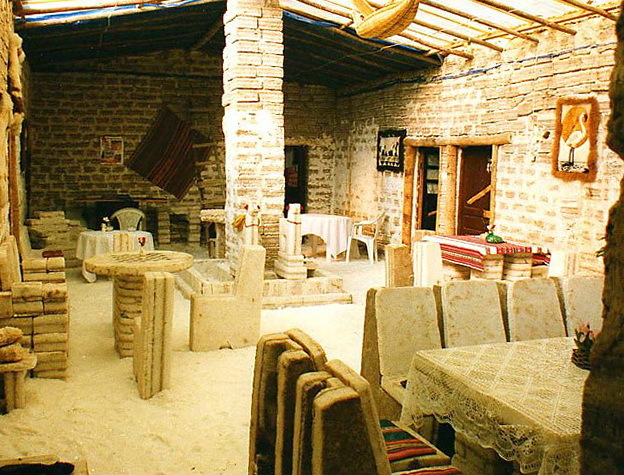 Some tourists do not believe that everything is made of salt and try to taste the furniture and walls of the hotel which accordingly is strictly prohibited. 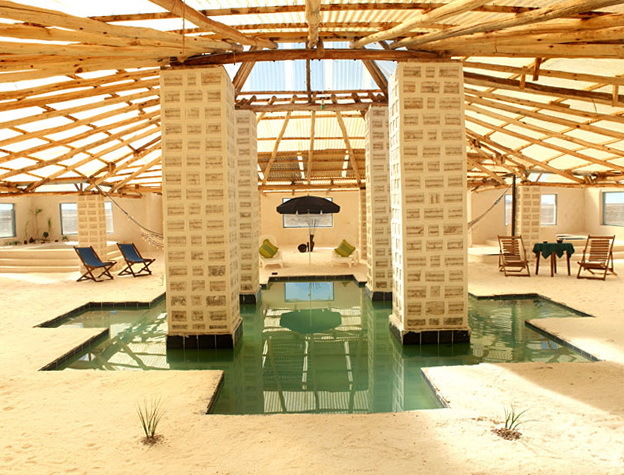 The most surprising is that even in a salt hotel you can find a dry sauna and steam room, and of course swimming pools with sea water. 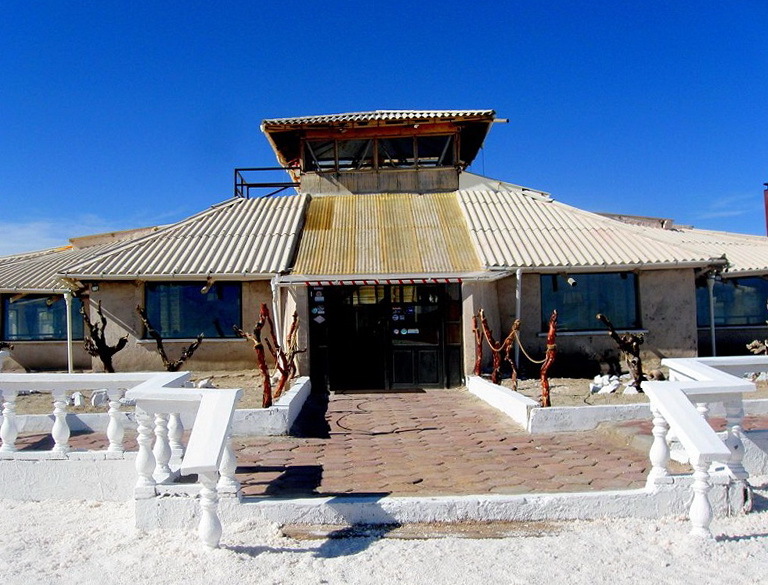 Construction of the salt hotel took about two years. Builders benefit from blocks of salt deposits were dried and used for bricks. The hotel does not eternal, and often subject to natural disasters in the rain destroyed the building so often requires reconstruction. 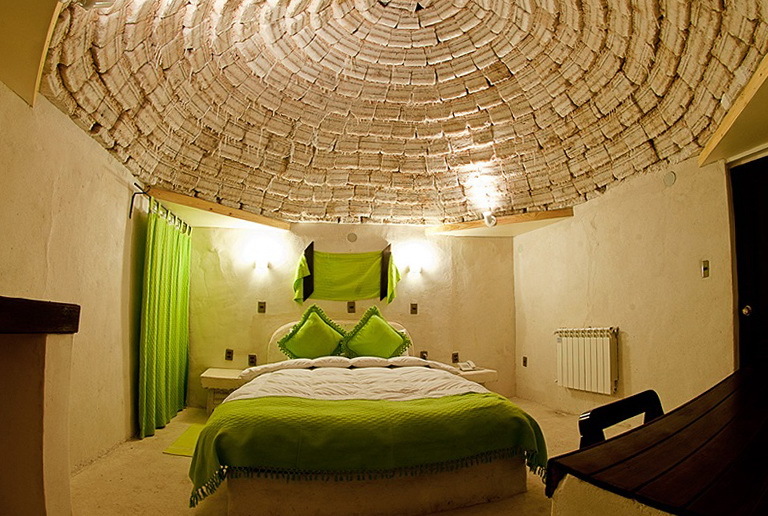 A hotel made ​​of salt similar to the palace, he looks great and amazing. It is worth noting that even the swimming pools, tables and chairs in the restaurant and cafe, and a golf course is made of salt. The average cost of living in this department $ 140 per day per person. The hotel can accommodate up to 48 people, with 16 double rooms. The kitchen is also a specific institution, the tourists can enjoy that are made of salt.